The instructions are great - there is one booklet for each lion and a separate one for Voltron's sword and shield, which also illustrates the transformation sequence. 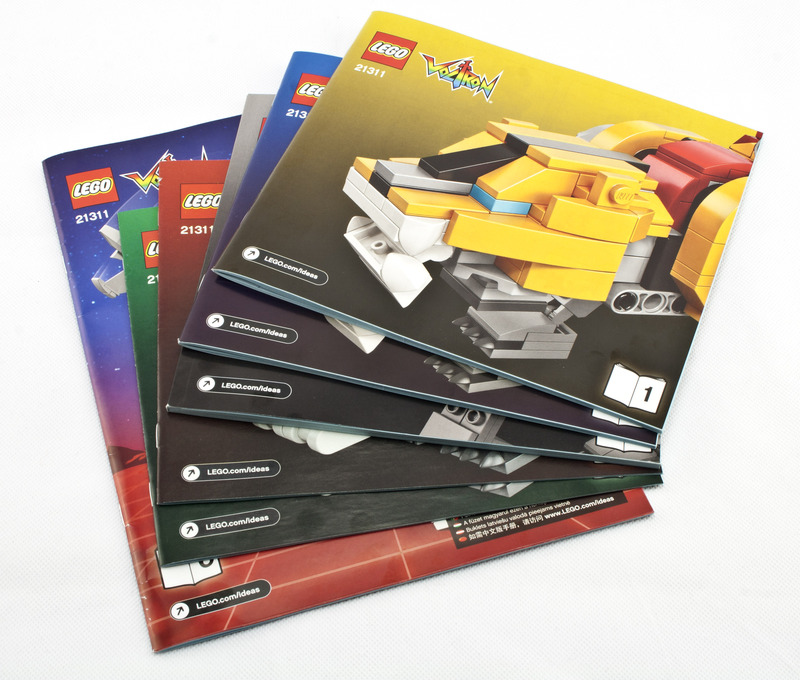 The instructions also have a few pages describing the original Voltron series it is based on, as well as the usual information about the original LEGO Ideas fan designer and the LEGO designer team. There aren't any :) As much as I hate on minifigs, I admit this set could have benefited from five of the tiny trophy-figs like the Saturn V set. Especially if the designers could have found a way to pop them into the lion's heads! I love that each lion gets it's own instruction booklet. Each lion is also built from their own separate numbered bags. This makes parallel building easy and a lot of fun - e.g. my kids could build the lions they want at the same time. The yellow lion forms one of Voltron's legs. Probably the first thing that struck me was how colorful everything is. The core of the lion is very solid and based around a central pivot point that enables the head to bend 90 degrees to form Voltron's foot. The head pivots around a single axle which doubles as the joint for the front legs. The head itself is pretty awesome looking and the lower jaw opens. The white 15070 tooth parts are used very effectively. The body is then built up with its various decorations and weapons. Lastly, the tail and legs are added. The legs can rotate via axles in the hips, the elbow/knees and ankles move via hinges. The head can't move at all, other than the jaw and when it transforms into Voltron. The blue lion starts off very similar to the yellow lion. They both share the same core design, just in different colors and have different decorations attached. 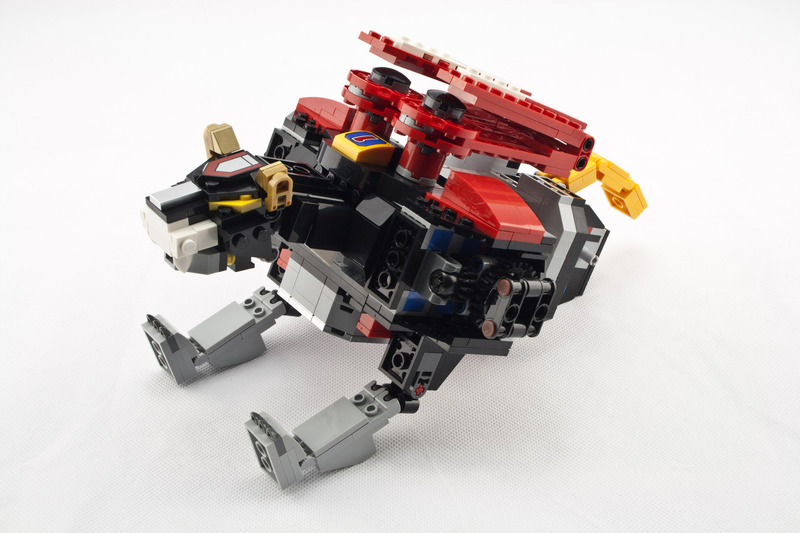 The same pivoting neck system is used as in the yellow lion. The finished blue lion is about the same size as the yellow lion but has it's own styling so they still appear as different models. The hip joints in both the blue and yellow lions differ from the front to the back. Since the axle used in the front leg hips is also used to pivot the head into a foot when transforming, it doesn't move freely. So, the hip uses a 53585 ball/92013 socket combination which gives it some movement, although it's much tighter to move. The black lion is a very different build to the other four. Since it forms Voltron's main body, it is much larger and needs to be much stronger to hold everything together. The familiar Voltron chest emblem design is actually the belly of the lion. 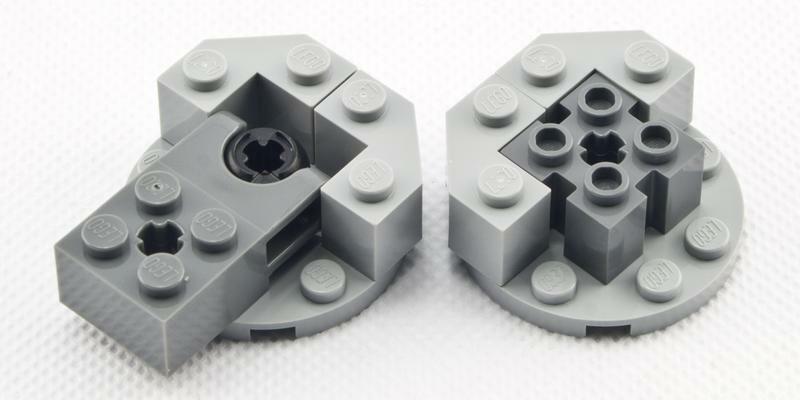 The connections for the lion's front legs (Voltron's arms) use 5 clips each for extra strength. Strangely, they are color coded red and blue whereas the connecting lion's are actually colored red and green. The head can be detached easily (and often seems to fall off a little too easily while transforming). 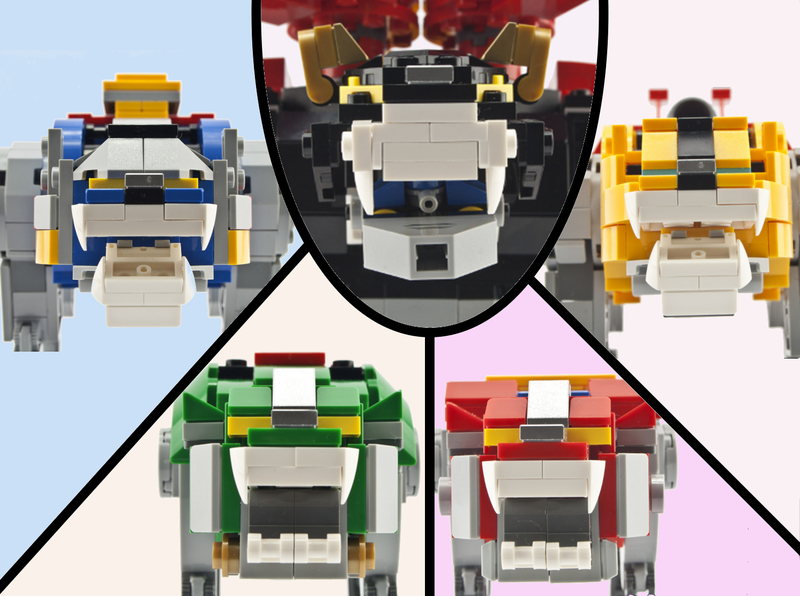 The lower jaw of the lion is actually Voltron's face which fully opens. Once connected, the head can also move up and down slightly, and turn side to side. The red wings on the back of the lion fold and stack on the lion's back. Lastly, the rear legs (Voltron's thighs) are added. These are seriously thick and have a built-in angle to them which can't be moved. 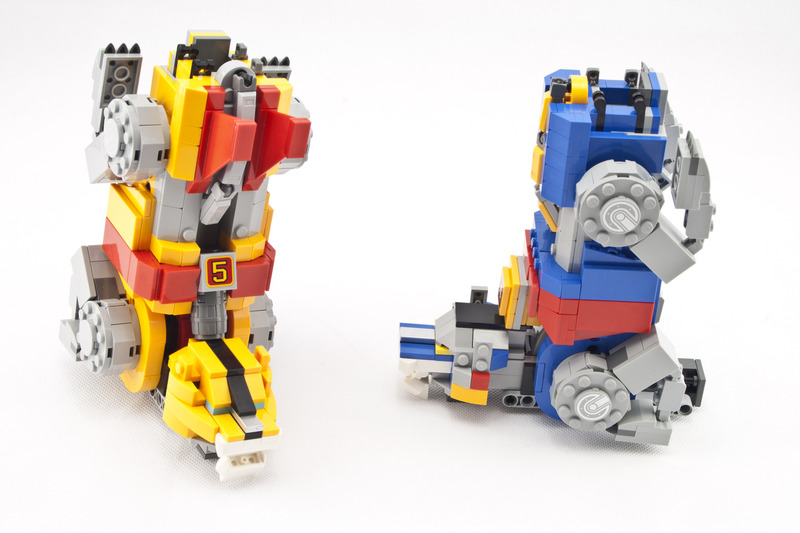 This is what allows Voltron to actually stand up later with a slight spread of his legs, otherwise the blue/yellow lions would be too close to each other. The final black lion is a huge beast, and built like a tank! The red lion forms one of Voltron's arms. It is much smaller than the other lions, but also much more flexible. The body itself is broken up into three separate segments that use ball/socket joints to hinge, which have a lot of friction and allow the lion to stay in position once it is hanging as Voltron's arm. Unlike the previous three lions, the jaw doesn't move in this lion. 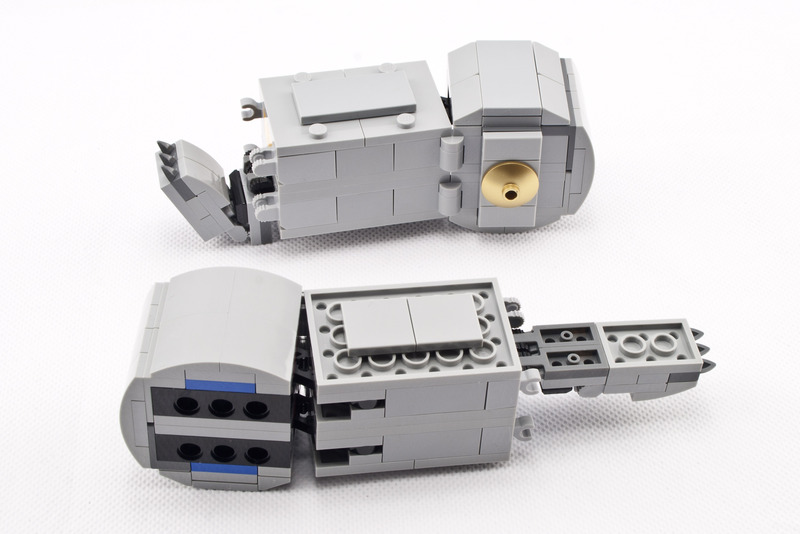 Instead, it has a technic pin which is used to hold Voltron's weapons. The final lion, is very similar in build to the red lion. Like the yellow/blue lions, the red/green lions share a core body design. The differences are in the decorating panels and colors. 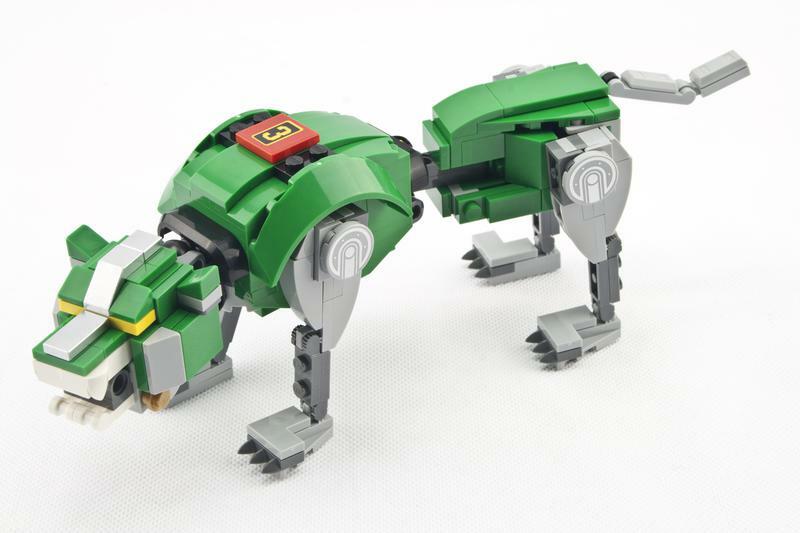 Like the red lion, the green lion can also hold Voltron's sword or shield. The size difference of the three types of lion designs can be clearly seen below. 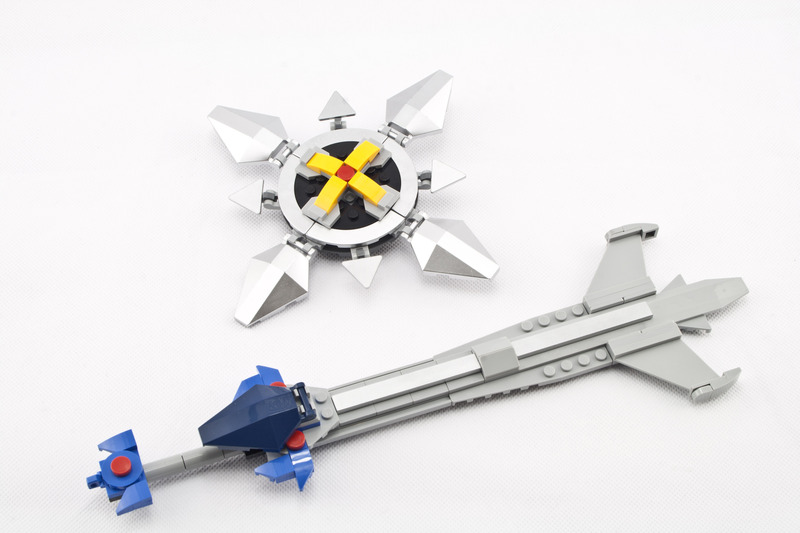 Lastly, you build Voltron's sword and shield. The sword actually has to be pulled apart to be inserted into the lion's mouth, leaving a spare pin connector piece. The shield just uses a single long pin that can be folded out of the way when not inserted. The legs on the yellow and blue lions are first tucked away. Their tails are simply folded back against their bodies. 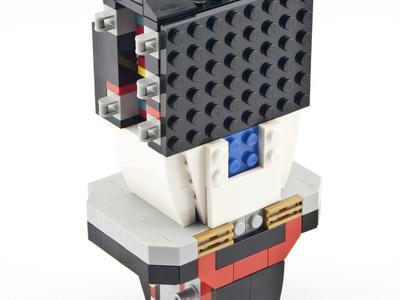 The necks are then pivoted about to form Voltron's feet. There are clips that secure them in place once they are in position. 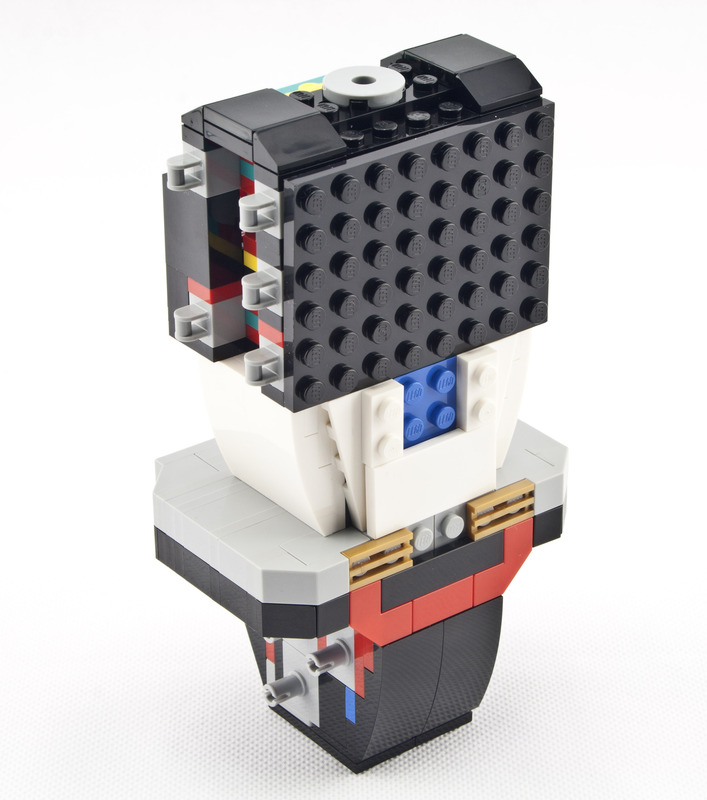 There is a small extension out the back of the leg which helps give it stability, and a small rubber tyre at the base of the foot that helps Voltron stand and prevent slipping. The two arm lions are the simplest to transform, and just need to have their legs and tails tucked away. The black lion is the trickiest. All four of it's legs are actually detached, rotated, and then re-attached at different angles. The feet on the back legs are folded out straight and will be inserted into the back of the yellow/blue lions. The red wings are folded out, and lastly the head is folded down to reveal Voltron's face. The yellow/blue lions are inserted, and join via four clips. The left and right clips are different so you can't swap the legs around even if you wanted to. The red/green lions connect to the shoulder joints via two technic pins each. The shoulder joint itself uses a couple of bevel-tooth gears with a friction ball/socket, giving it a lot of friction when rotating the joint. When fully formed, Voltron looks amazing. Even from the back, it looks great and is very strong and actually quite heavy too weighing in at 1.6kg. There were many 80s cartoons that featured giant robots, but Voltron was definitely one of my favourites. When the original LEGO Ideas project was selected for production, I knew I had to have it. The LEGO Ideas team spent a long time iterating over the design of this model, and the end result is amazing and well worth the wait. The build was fun. Even though it would appear there is repetition across lions, it's really not noticeable - especially if you split the build between family members so everyone gets their own personal lion. 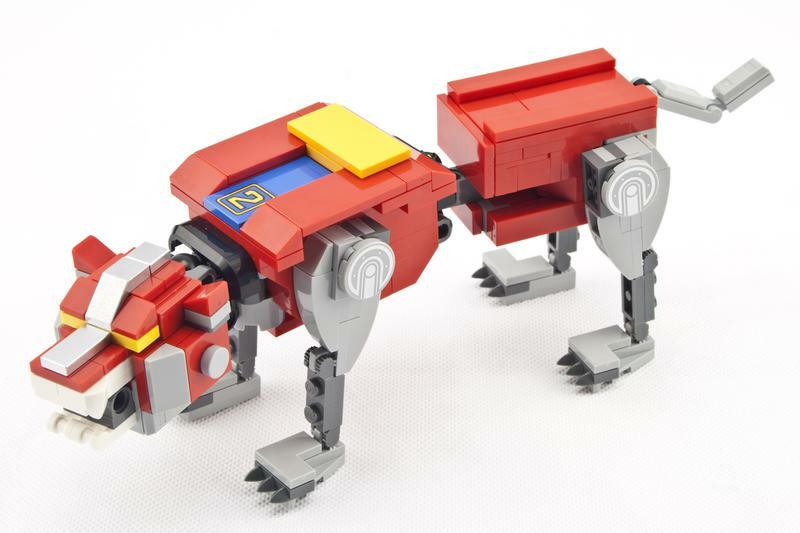 Transforming the lions into Voltron can be a little tricky at first, and you're scared of breaking things but it's all very solid and can put up well with the handling. Probably the only criticism I have is that the black lion's legs must be removed and re-inserted during the transformation process. If they could be made to simply rotate while still maintaining the strength required to stand and pose, that would be awesome. 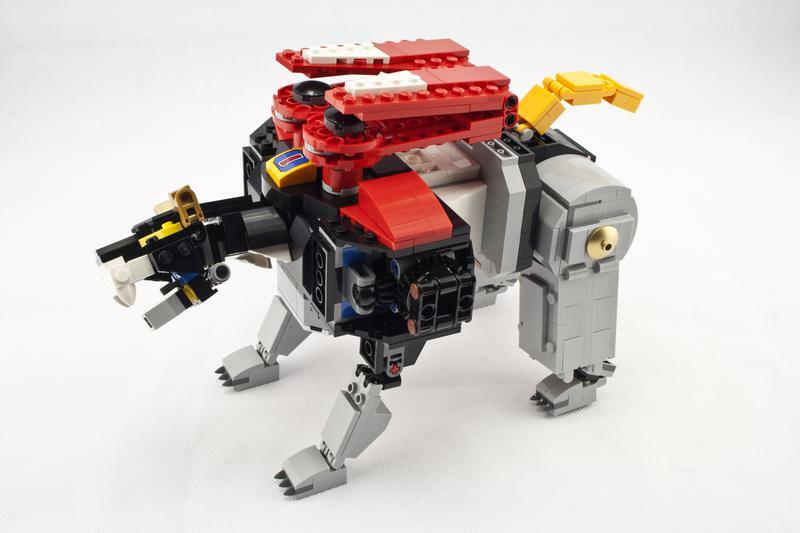 The original LEGO Ideas submission photos seem to show the black lion with more flexibility. Perhaps we'll see some fan-mods of it soon that attempt this. While the set might be a tad expensive (US $180), there are over 2300 parts, and I think it will be a must buy for many LEGO fans my age that grew up on these cartoons. So if you've read all the way to here, I have a 2nd Voltron set sitting next to me that I will be giving away to one lucky Rebrickable user! To be eligible to win the prize, all you have to do is write a comment below giving your thoughts on the set (NOTE: multiple comments will not increase your chances, so no spam please!). After a few weeks, I will pick one person at random and contact them to arrange delivery. UPDATE: A winner has been contacted and the prize is on the way! Disclaimer: This LEGO set was kindly provided for review by The LEGO Group. 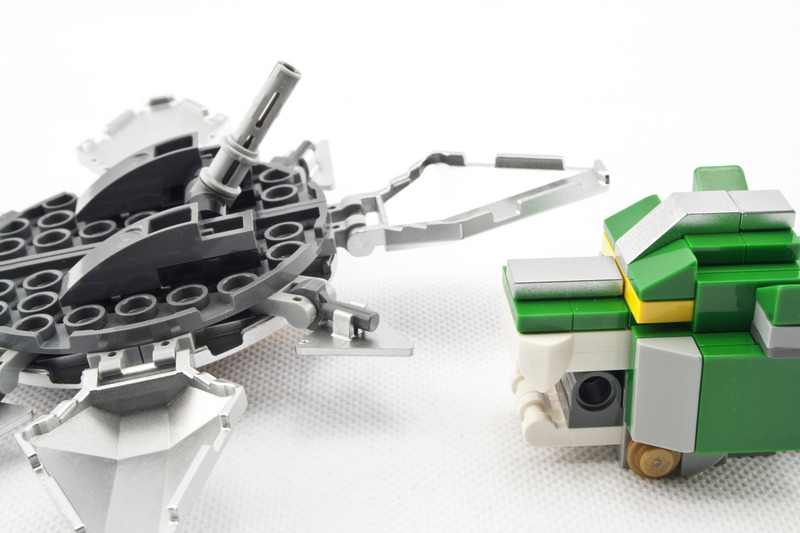 Anything said in this post is the opinion of the author and not The LEGO Group. Well done review. The step by step photos mid build and combined give a real sense of the model. Very nice work but I believe it would be nice if lions were a bit more bulky especially at legs. I have always been a fan of the original Voltron series ever since my dad introduced my brother and I to it when we were younger. Seeing this set finally be released is like a dream come true. The fact that it can be transformed and remain stable while in robot mode is amazing. One gripe I have is the Black Lion is a little too bulky in my opinion but this can be ignored due to design reasons. Other than that this is a piece that I would love to add to my collection along with maybe a Macross or Transformer figure at some point hopefully. Great set. My kids and I spent time working at this together and loved all of it. Great family time! With the interest I showed they've starting watching the new series on Netflix! I thought TLG did an absolutely amazing job. I was a huge fan of the Voltron Anime in the 80s and I’m a huge fan of TLG version. I especially love the gear reduction at the shoulders to be able to support the sword and shield. Great review and excellent pictures. Wow, great pictures. Thanks for the review. It's cool how LEGO Ideas is challenging the LEGO Group to be more creative like creating the interior that is just as awesome as the exterior with The Old Fishing Store, creating a Wall-E figure that's built at a similar scale to the Collector's Series Droids, and now making a Transformers-style set. Way to go LEGO! Interesting concept to build. I have heard it was a real trouble to make it stable. I found my 30 year old Lego sets recently kept in a box all these years. I have had a blast putting them together, ordering parts I am missing etc. I am going to put them on display.... such classics should be displayed I didn't realize there was Voltron set like this!! Wow! It is the most amazing set in the world. Voltron is another classic. Thanks for your detailed review...and the chance to win one! This was one of my favorite shows as a child. Incredible set, love how authentic it looks. The fact they actually combine to form Voltron is just awesome. Pretty blown away I just stumbled on this. This would be perfect on my Lego movies and shows shelf. It’s a great set in my sweet memories.Must to have this set.So I look up a lot of reviews about this set. It help me to decide take it home. I missed out on Voltron, wrong age I guess. Loos like a nice set though with interesting build characteristics. I feel like Voltron is a great set, probably one of the first of its kind. Great review! I like the set, but I have one issue with it. Great review on this amazing set, would love to own this in my collection one day! Oh wow what a Giveaway!!! I always say to my kids when we are going to the Lego Store that one day it will be mine. Oh YEAH, one day it will be mine 😜. I just finished the Netflix series so it would be great to construct Votron with the family. As a fan of Voltron, I felt like the power rangers final robot was a rip-off of the king Voltron. 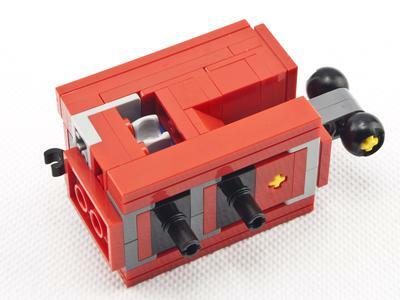 I’m happy to see that Lego designed this one first. Thats awesome you’re giving one away! looking forward on making this together with my kids ! Great review! I watched this show on VHS when I was younger and love the Netflix show now. The LEGO Ideas set is a dream come true. Not sure I'll ever get it though because my money is aimed at the new Hogwarts Castle. "﻿Form feet and legs; form arms and body; and I'll form the head!" Loved the original show. 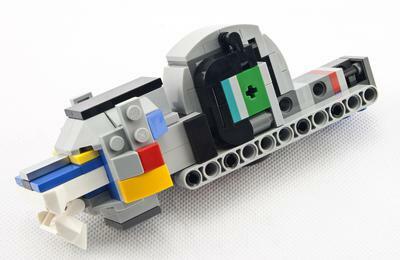 Now I'd love to see if someone made the new series Voltron in LEGO. Thank you for detailed review! This review just made us want more to acquire this set. I say us because even my son who has never seen Voltron in his life after he saw this set was in love. As a child of the 80s, I like this set quite a bit. It does suffer a bit from the "build challenge feel"--it's mostly impressive that they could do it at all. But if it fit into my budget, I'd definitely pick it up! Great review and thanks for the detail pics. 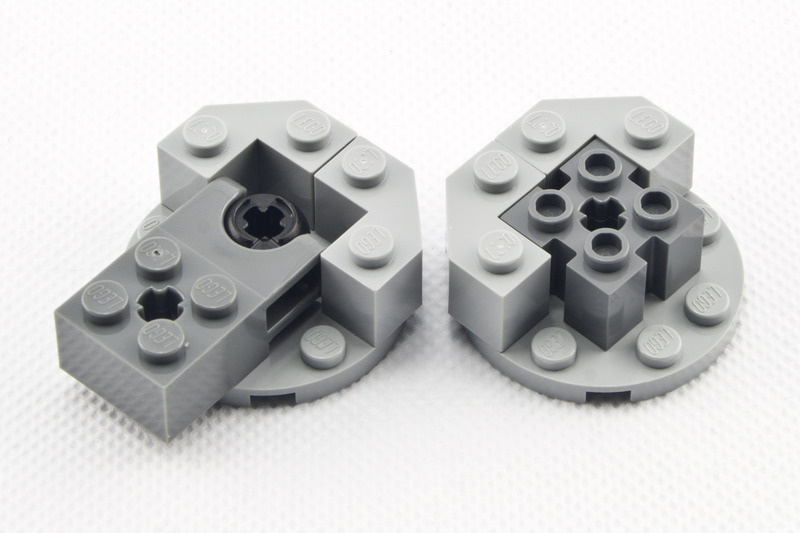 One of my favorite aspects of any Lego set is seeing how the designers use existing elements in clever ways. Excellent review. This set is on my list, though Lego has outdone themselves this year, and there are simply too many sets to choose from. 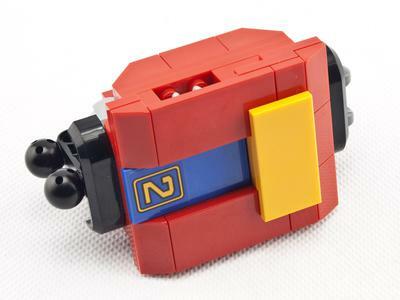 This reminds me of a Lego Optimus Prime model I once made many years ago. I based it on the toy models I found on the internet and it could transform into a truck and back to robot form :) Maybe one day there will be official Lego transformers! I agree, adding the microfigs would have been a big plus. I've been to the LEGO store with my 5 year old a few times for store events (mostly free mini builds) and every time he stops at the front of the store to admire the giant sets. One of them is the Voltorn set ... he asks to buy it every time! This set is pretty sweet looking. Voltron!!! 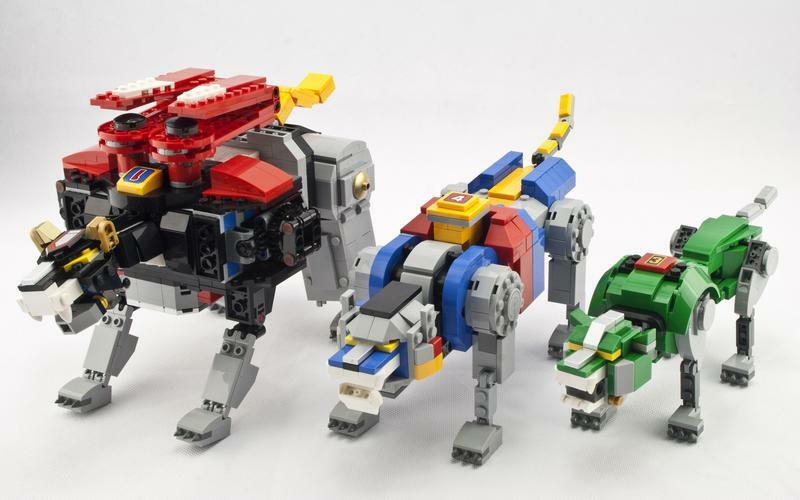 The review did a great job in pointing out the individual elements of each lions body.I just started getting in to watching Voltron on Netflix while i build, sort , and browse the world of lego so I'm pretty sure this will be a future set for me. Thanks for the review. I saw an interesting video on youtube where they had the designers demoing it. Nice set I also like the Review. When I was a kid, i liked Bionycle. You could also build 3 into 1 big Bionycle. Love the transformation into Voltron! VOLTRON in LEGO form is sweet! Great review, gives everybody the experience of unboxing this monstrosity. When I saw this Voltron set pre-announced from Rebrickable﻿ several weeks back, it suddenly brought back vivid memories of my chilldhood when I was attempting to build such a set myself with such limited number of legos I had then. I was totally lego-strucked just looking at this amazing set! This would look great on the shelf next to an original lead paint figure!! 2 of my favorite childhood toys come together as one. . . The lack of mini figures is really disappointing but like many others had mentioned, the final product is truly a master piece to behold. To me as an AFOL, the seemingly lack of playability is definitely much more than compensated by the size and looks of the build. 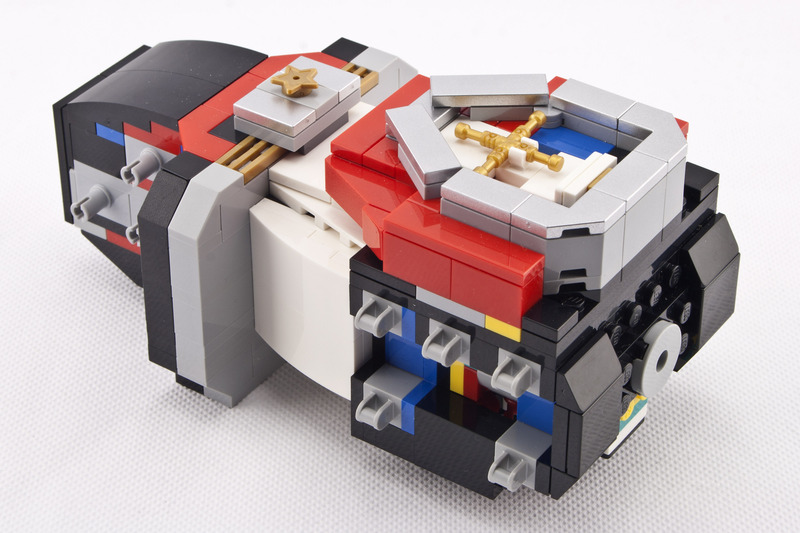 With a great price-to-part ratio, it really is a must have for LEGO and Voltron fans. Great review! Although I didn't watched Voltron growing up this is a great model. I hope that LEGO continue to develope sets in this area. For me, this type of model is the most interesting area for developement from both building techniques and scope for future innovation particularly when it comes to articulation and automation. One way or another I will have this set by the end of the year. As usual the review and pictures were spot on. Nice review, I'm more happy that some colors/parts returned after many years of absence. Thanks for the technique and building breakdown! Definitely a must have. 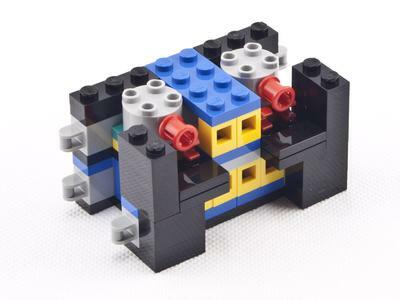 I wonder if this is the beginning of a new era of transformable/modular LEGO sets (I'm talking about concept and techniques). 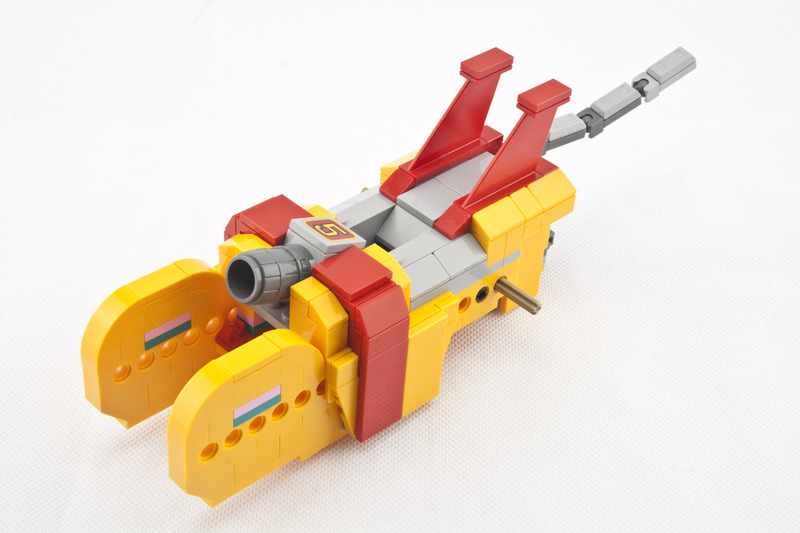 This is one of the MOST ICONIC Lego Sets that any Lego-80's Fan would ever imagine! Not only does it bring back memories of my childhood, but it only makes me feel more nostalgic! I love how the lions are individual and can move and articulate. Not to mention when they come together to form Voltron. Though really awesome, I think it would have been cool to have some mini Paladins to go with the lions or maybe be able to put them inside the lions. 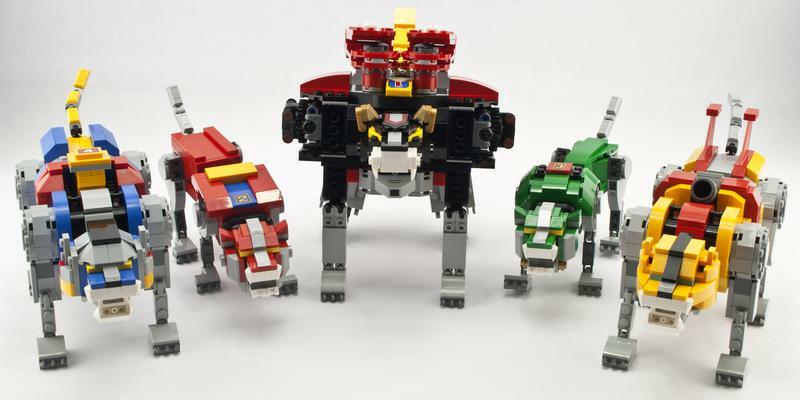 I think they did an awesome job capturing the lions and Voltron! I think the manuals should tell a little about the powers of each lion and their Paladin, kinda introduce them to a new generation or just remind us who remember why we loved the lions we loved....the Yellow by the way...lol. My cousin had the '84 die-cast Voltron, and I stole the green lion when I left from a visit. I've felt so bad ever since. If I win this giveaway, I'm sending it to him as +30 year old apology. This is over 3 1/2 pounds!?!?! The robot mode looks absolutely astonishing, and surprisingly true to the original Voltron robot figurine. I love how you can actually take it apart and use the lions individually, and how they each have their own distinctive style from their twin! The main lion, who keeps the pride in check, is a bit clunky on top, but forget clunkiness if it's for wings for a robot made of lions! Also, very stable compared to such large LEGO models, it's impressive, really. 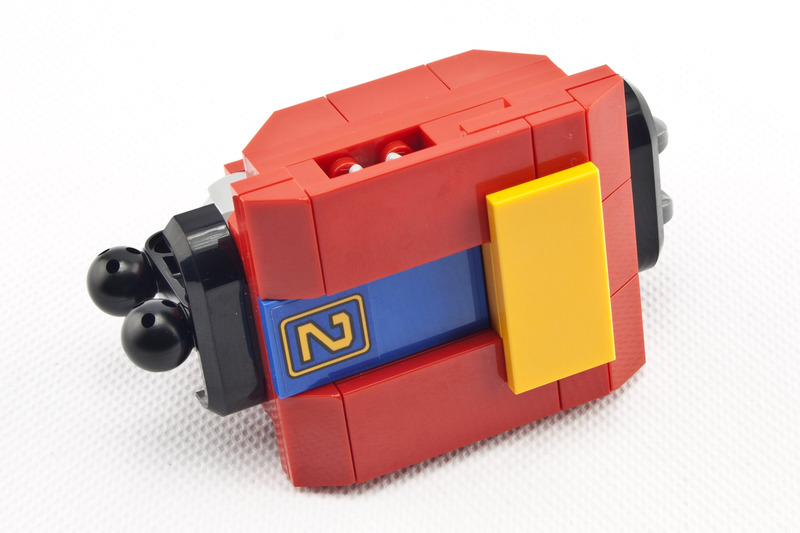 All in all, a great review and an even better LEGO robot! Hope I can win one. I so want one. I read somewhere that the legs don' bend, I wonder how difficult it'd be to modify it into a safe version with bendable knees. I'm just glad that this wasn't 5 mini sets that you had to buy separately and then build into one. Another expensive set to add to my growing list of sets I'd love to have but can't justify selling a kidney for. The transformation is especially nifty. Good review! 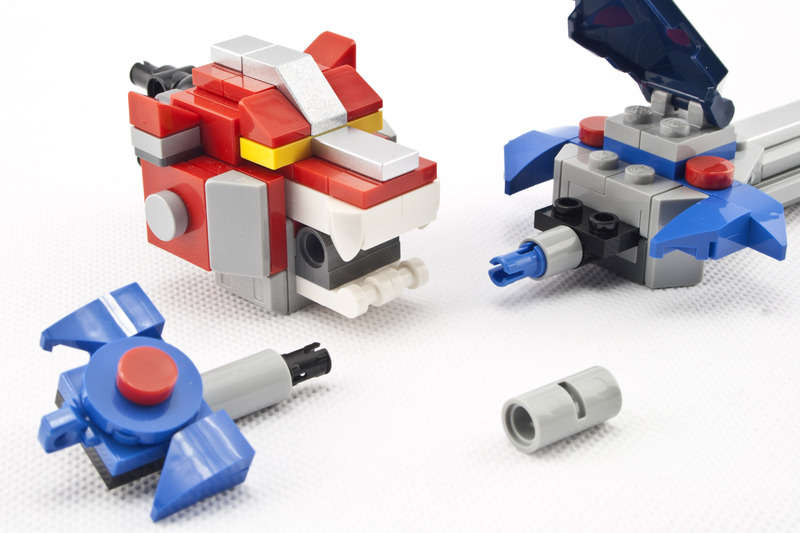 The Voltron set is one of the most interesting ideas sets yet! Thanks for the thorough review of this nice looking set. I haven't been this excited for a Lego set in a long time! Amazing set and a great review. Maybe it will be my lucky day! This set always seemed very cool to me. I have to admit that I don't have any nostalgic feeling for this but that is one well designed set! Looks like it's fun to make as well. I would love to have this set! The multiple instruction books would be great to share the build with my kids while I regale them with tales of my childhood days with Voltron. Hi, never saw the show but I'm looking forward to watching it with my kids. The set looks like it's fun to play with. I have never seen the show but it's good to see they didn't take the shortcut of making the opposing lions identical or mirror images. I'm not so young but i like this set anymore. Amazing set! And amazing review. Thanks for the post. Hope I can be the lucky winner. So much nostalgia! I really want to add this set to the collection! What a great idea, and a great set!!! 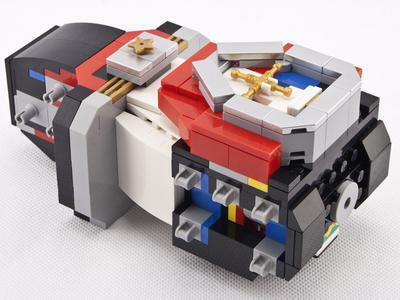 Voltron was a favorite of mine and I felt the same way when I saw this set hit LEGO Ideas. So glad they made this set for us! And so glad Voltron is back and doing well as a series on Netflix. But the classic lions are still the best! very good review (and awesome set)! awesome set! The instruction booklets is a nice touch. Looks just like the cartoon. Great set and review. I was also a fan of the transforming/robot cartoons (Daimos, Yattaman, Voltron and later ones like Gundam Wing and Transformers. Seeing this set brings back so much memories! Now I need to get it out of pure sentiment and leave it on the display. I know that it will spark the same feelings to anyone that used to watch these series back in their childhood. My brother is 5 years younger than me, and I still remember the year he got the five Voltron lion toys for his birthday. I don't remember what brand, but they were awesome, and they combined to form Voltron. I was older and cooler, and he was just a young kid, so I acted unimpressed. But man did I love those things! I loved the cartoon, too. But I couldn't admit it. :-( I still remember sneaking into his room when I got home from school to play with them before he got there. This Lego Voltron is my chance to relive my childhood the right way! I think that it was a good idea to make it a big set because when you see some of the smaller sets that are on display you're like what is that. But when you see a big set your proud and other people are like did you make that it's huge. And your happy that they noticed. When I saw it was a set I thought it would be small like 10cm tall total but wow it is huge I have this and many other sets on my wishlist along with future projects. Thanks for doing the giveaway to commenting users. 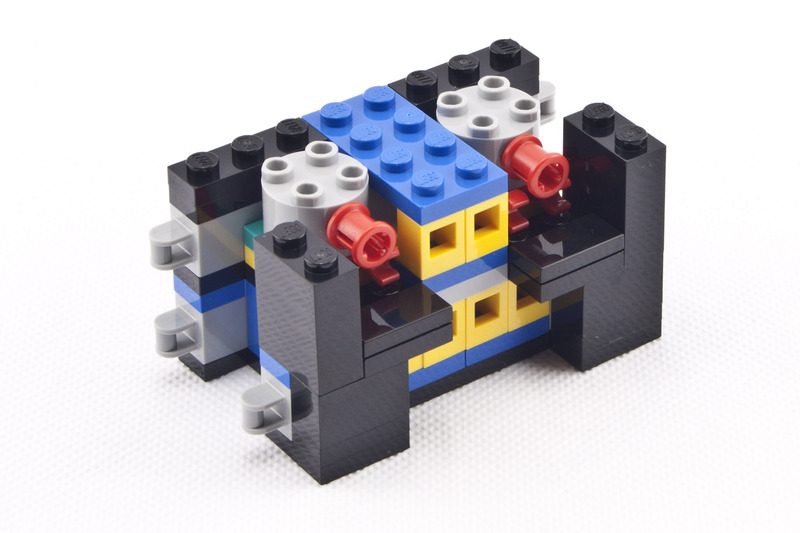 Finally, a complex robot based on a cartoon and released by Lego. What could go wrong?! Nothing. Would love to build it, but for the money, i will always rather buy a Technic set. So winning it will be a dream. & thanks for an excellent review. I love how you can combine smaller sets into a big one. This brings back all the best childhood memories! 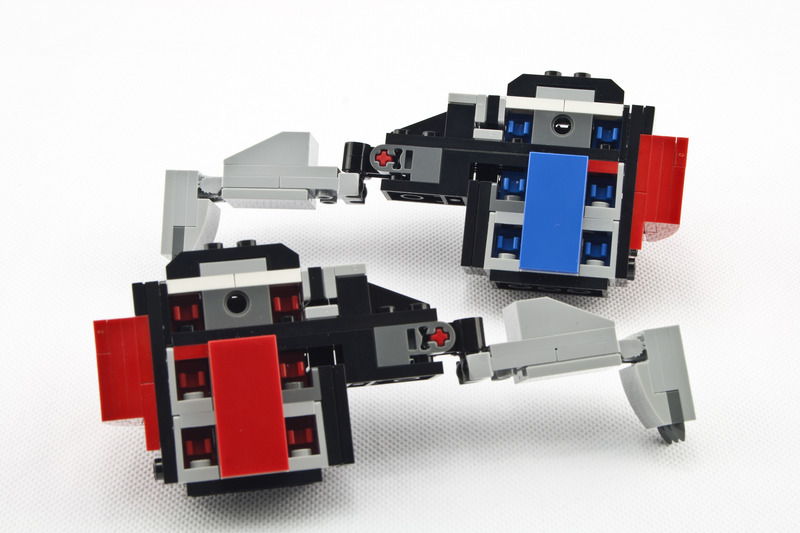 I never noticed the Voltron series existed until I saw the lego ideas page. Now I watch it on Netflix (maybe it's a re-release or a new vwersion): it's very funny. Has TLG ever made an attempt of a transformers-like set? It's a wonderful build that's just a bit too expensive to justify buying right now! This set is awesome. The fact that both the individual lions, as well as the completely assembled Voltron look good is just amazing! I have a mission, Find a way to make it more flexible! ... or I could just win this giveaway, who knows (fingers crossed). I've never seen the show, but I really like the look of this set. I have never watched Voltron here in The Netherlands, but the set looks really great. Never would have thought it had 2300 parts. Great review! Good show but more importantly, a great classic toy from the 80s (maybe even the greatest?). Lots of fond memories of that one, but I never could seem to bite the bullet and get an old one for nostalgia. Now this makes SO much more sense. Never seen the show but love this set. I wish it did include trophy figs. I wish Voltron would have been accepted a long time ago so I could have it sooner! This was a nice review and covered all of the mechanics and what's included. Voltron was one of my favorite childhood cartoons. This Lego set looks amazing and does great justice to the source material. 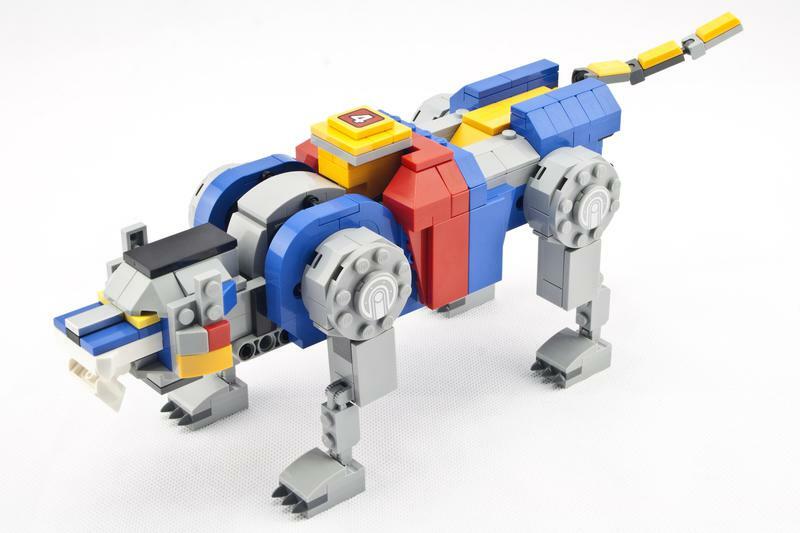 The fact that the lions all transform and build Voltron is awesome! Great review! I'm not at all familiar with the source material, but I nonetheless think this is a really great looking set. It's a shame all the tigers are such different sizes though, so I think it's better displayed as a full robot. Such an awesome set! 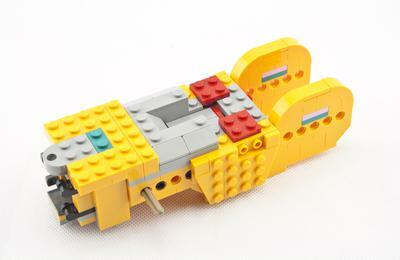 Wish there were more lego stets that transformed like this one. Optimus Prime, anyone? Great review - thanks for all your work! I didn’t really watch the cartoon, but we did have the action figures. This looks better then I remember them to be. A great looking set! My two brothers and I played with these toys for hours. We had a set that was fairly large. I remember going with mom in the station wagon to Sears and walking back to the catalog room...where you could order from the catalog in person or via phone Then we went back to pick it up. I can't wait to purchase and build this set! Nice review. I love the way the look of the lions and how they transform into the overall body. Since didn't watch this anime as a kid there is no emotional Connection with this set. I never watched the cartoon, or that kind of cartoon, so to me the set looks a bit corny and not that interesting as a display piece. But I would love to build it. I love the ingenious things that the designers did. I'm not sure how this set could be any better - looks just like a display model, scale is fantastic, and it transforms simply and elegantly. Amazing. Great set. Perfect for the family build and younger kids to enjoy. I have read some of the reviews, but yours gives some nice extra details of the build. This is a great build. Very smooth, easily recognizable, and a fine addition to any collection! I don't particularly like how the black lion looks, but I completely understand why they did it that way, and can't really think of a better solution myself. I guess they could've made the shoulders able to rotate, but that would make the model unstable. I'm stumped. Was never allowed a Voltron back in the 1980s... perhaps now is my time. This looks like an awesome set and thanks for the great review. Wow, I can't wait for one of these! Suddenly saw this review and now I just can't wait to get one! 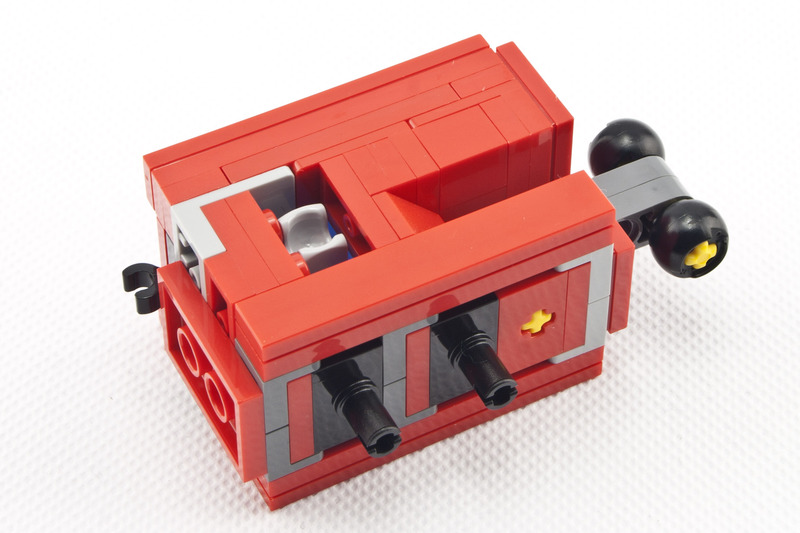 I saw this the other day on the Lego website and thought it looked interesting, and reminded me of the cartoon. I remember watching Voltron as a kid. Since my parents wouldn't buy them for us we'd go down the street to a friend's to play with them. As soon as I saw this set came out my inner kid squealed. And when a coworker got it and brought it to work it only cinched what I knew when I saw it, I've got to get this set! Thanks for the review and giveaway opportunity. I think it could have used some more vivid colors... I remember the cartoon fondly. 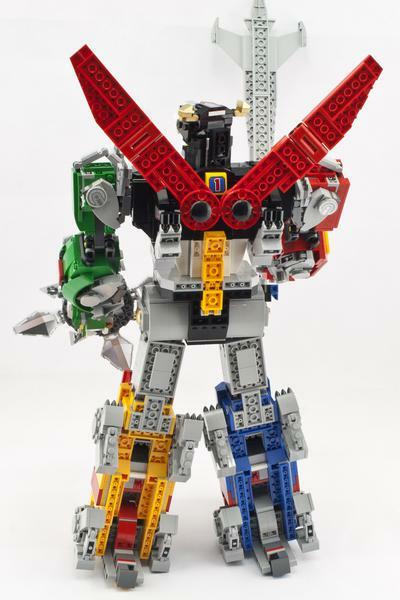 I've never seen Voltron, but the Lego model looks like a really great mech especially with the five models combining. This set is very cool. 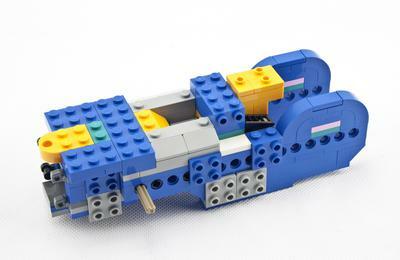 I especially love the vibrant colors and additions of new parts, which especially contribute to the sheer beauty of it. I agree with some comments above. It would be nice to show the original idea submission. Very cool set nonetheless. That is a AMAZING set and deal!! this surely is a nice model, but I never watched the tv-series, so I can't tell if it is built realistic. 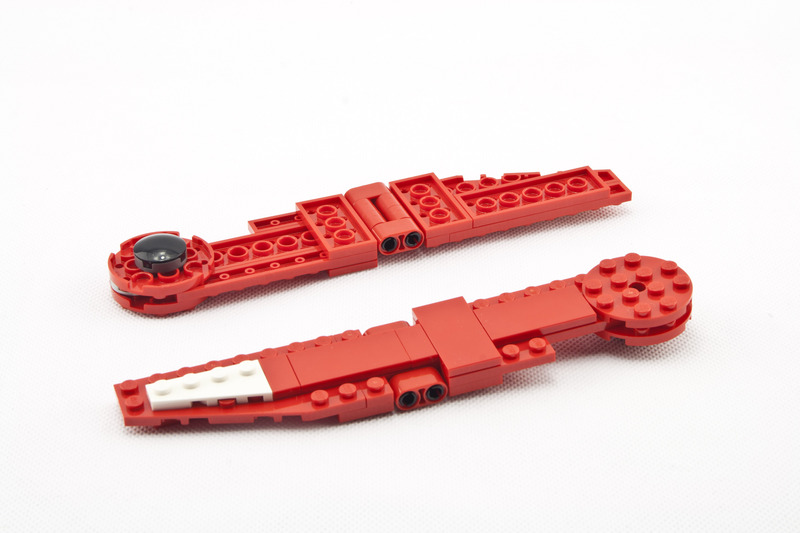 however, 2300 parts is a nice upgrade in parts, while most of it's parts are wings, connectors and plates. also, note the many printed pieces which make them a little difficult to probably reuse in a moc. but if you ignore this, it is a really nice set with lots and lots of building possibillities. what i'm missing is more blue on the body, between the shoulders. good luck with giving it away! Fascinating to see the Lions shapes side by side by side showing which one's the arms or legs. It makes sense when you figure out how a body is structured that the Arts would be smaller than the legs. I do adore Minifigs and I do wish they had a wage of had many fakes to put in the Lions but this is still an incredible set. Thank you for the breakdown. I used to watch the show as a kid and even had the die cast version of it. When this set was announced I warned my wife this set would be mine. After reading this review, I cannot wait to put this set together! Great set. Brings back memories. Hi, first time commenter here. First, thank you for the informative review. 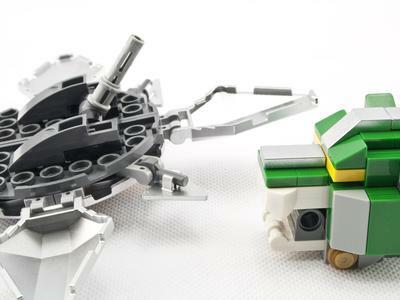 I don't have anything substantial to add except it would be nice to compare the fan design with the Lego ideas version. This is a pretty amazing set. It pushes the boundaries of what a LEGO mech can be and the transformation is pretty slick albeit a bit tedious. I don't really like the black Lion since it is more exposed compared to the others, but it's still really nice. And the packaging is premium. I love that there's different booklets for different lions. I was very pleased when I saw that this set would actually come to life, and be available to the public. I loved this cartoon when I was a kid, and now I can barely remember it. But I remember very well the Voltron transformer toy I had, and I must say I like the Lego version better (at least now I do). Compared to Lego version, transformation of the toy I had is very similar so now objections there. In fact, the Lego version is a bit more complex, which I think is a good thing and ads to playability. Plus, it’s more satisfying to build your own toy and then play with it than just take it out of the box. And I do agree with Nathan that this set will appeal more to the older “children” (AFOL), because it reminds us of our youth and this way we will get to relive it. I also think that the inclusion of minifigs or nanofigs would have added a lot to this set. Without them I may just buy the parts that I don't have and build it that way even if I have to use different shades of some of the colors since my 6 year old has been begging to build this since he saw it in the catalog. Great review. This set is very cool and very playable. Also, I really appreciate they made it buildable in parallel, so you can either have kids build this together or even hold a building party for older audiences. If I don't win this, it will still be a must buy for me at some point. The kind of set that confirms Lego as the one and only kind of toys any child needs. As a child I completely missed out on this show, only learning about it as an adult. But this set looks intriguing nonetheless, even for the sheer size, weight and the associated engineering challenges. Absolutely gorgeous. And the possibilities for alternate builds . . .
although i am missing some of the details from the ideas model. the beasts look more vivid. Nevertheless, this is a unique and well designed set! One if my favorite cartoons! Definitely was excited when this set was announced, thanks for a great review! Usually I don't like superhero sets, but this seems to be a musthave, I think, it's a great set for building alternatives, thanks for the review. Amazing what Lego bricks can do. Great review. Great Review. Thank for the detailed review. I remember how fast this one hit it milestones. It took mere days to get all of the supporters. I could see why then, and I'm glad they didn't seem to change it too much. Fantastic. What a great set! This is one on my want list. Hope I win! Thanks for the excellent review. This set looks great and brings back a lot of memories! Excited to share this build with my son. Alot of good parts for other experiment builds. Great colors first set I will buy in quite a few years. The set looks great I do hope that this leads to more sets like this (devestator?) tf or gundam. OMG, I remember this and happen to have a 13 yr old who's obsessed with Voltron and impatiently waiting for season 8 to come out. Love that it's making a comeback. It's awesome that someone's going to win this set, would be time well spent putting it together. I'm more the TMNT and Power Rangers generation, so Voltron was just slightly before my time, but I did catch a random episode here or there as a kid. Voltron, Speed Racer, and G-Force (AKA Battle of the Planets AKA Gatchaman) were my first exposures to anime (not that I knew it at the time), creating the foundation for what would become something of an obsession in my teenage and college years. I have been waiting for an official set to drop for a while, finally it's here. Great review. I was thinking of getting this set as well. Groing up in the 80s I loved Voltron (at least until i gat my first transformer [sorry Voltron fans]). Now my son is into the new series and I think that this would make a good set for us to build together. To anyone who knows-- how different is this from the modern Netflix Voltron design? Also, lovely review! This set came out so well that even my non-AFOL wife saw it in the store and wants one! Thanks for the review! I grew up with this show... looks like an amazing set! Thanks for the review. I really hope I can get my hands on one of these soon. I wish The Lego Group would make additional transforming robot sets like this -- there is high demand for them! Thank you for the review. My favorite LEGO builds are those that do something. Move or change in some way. Your review demonstrates how several small models, pretty complete in themselves, can be combined to make one awesome creature. Although I'm not an avid follower of super-hero type programs, I'll build any LEGO model that is fun, and it looks like Voltron is lots of fun. What's even better, I may be able to convince my family (grandsons) to "adopt" a lion. I really liked voltron growing up. I love legos also, so it’s a great match.ike you said previously, I wish the design could have made room for a “cockpit” and mini figs. I doubt they will make a bigger version to support a interior later on. I will eventually buy this set if I don’t win it. Thanks for the conclusive review, a really nice set. One of my favourite shows growing up and my youngest loves the new series. I wish I could have grown up with this show. Just discovered the new Netflix remake just in time to hear about this set and fall in love with it. My favorite kinds of Lego sets are those where the pieces are designed to be rebuilt in creative ways. I remember a western set I used to have where the instructions showed multiple different forts you could build with the same pieces. It forced me to enjoy taking it apart and putting it back together instead of just building it and displaying it forever. Now that we have so many licenses and movie-based sets we don't see stuff like that as much. But this is the best of both worlds. 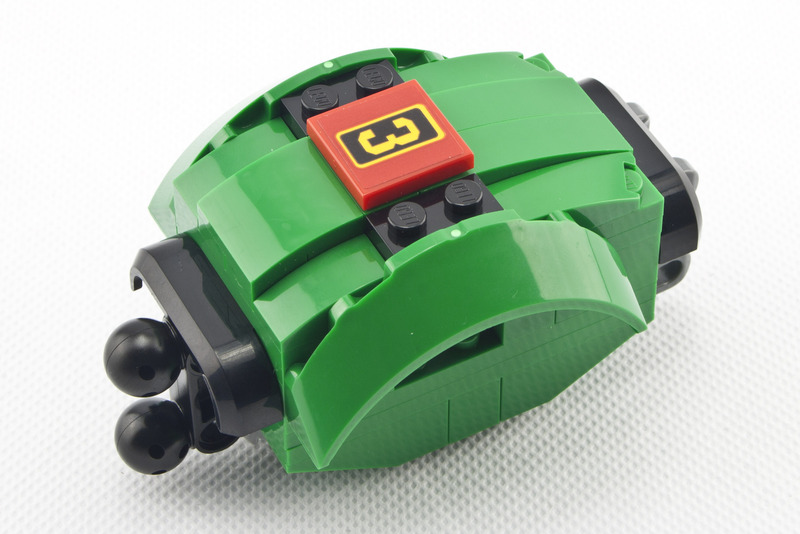 A beloved franchise and Lego's wonderful creative flexibility all packaged into one universe-saving robot. It was a very fun build and sadly I couldn't find a place to display it. Way bigger than expected! Oh Oh Pick me! I'vr got two kids who'd love to build it! Awesome & detailed review. Looks like a great family build night. Based on your review I am a little urg.. about the heads not moving & the black lions legs not better user friendly. Especially when forming voltron. I was never a fan of the tv series, but this set looks like a great build and your review makes me want to go out and get this set! I love that the individual lions are easily taken apart with as little "breakdown" as it has. This set is the reason I got back into Legos! I am so excited to have the opportunity to own and build this set with my son! Here's to grooming a new generation of fans, I think Lego has a hit here! Thanks for the great review! Such a great looking set and looks like a fun build too. Not familiar with Voltron at all but you just have to admit when something looks this cool. I would build this one with my son and let him loose playing with it for sure! Very comprehensive review. The best thing i love about this is the combination of individual parts into a bigger whole. 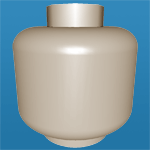 There have been a small handful of TLG sets in the past that have this combination behaviour but they often just rebuild the parts into a larger version of the same type of thing. This 'transformers' style of set where you can still identify the component sets in the larger assembled Voltron is a fabulous move by TLG. 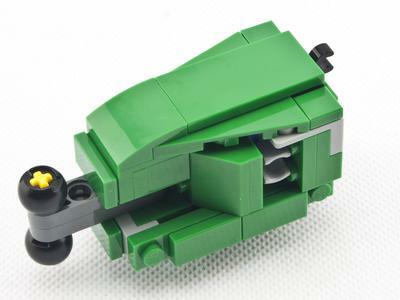 Kudos to the original MOC designer for getting it through. Personally not a big fan of non-Technic sets, but this one looks very impressive. I think it looks really cool. High on the nostalgia. I think fans of the original or current version of the show would be happy to have one. Shouldn't the hind knees bend back like a real cat? Robot Rock from Daft Punk comes to my mind! Voltron needs a guitar! This is very nostalgic for me, I was brought up on great cartoons in the '80s. Whilst not the CGI of today, the story-lines and epic battles were brilliant (he says with the memory of his childhood). 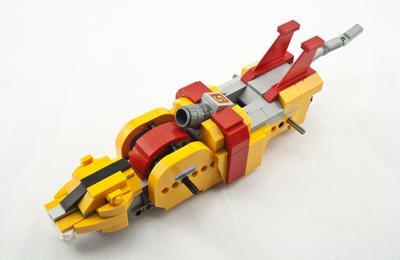 This Lego set really pays homage to the animation style and also the classic lines of the old Voltron toys. I keep telling myself not to buy this, its just nostalgia... but it would make my day, month, year to be given one. I didn't realise that all the lions were unique in their build, that's a really cool detail. I'd also assumed that it'd take a bit more un- and re-building to get the lions into the Voltron formation, so it's really cool to see otherwise. My son is absolutely obsessed with this set. He has no clue what Voltron is but... GIANT MECH! I personally don’t like it. However, there’s a ton of LEGO I don’t like: Minecraft, Brickheads, Mixels, Marvel. I prefer the ol’ fashioned City sets and especially the 3 in 1’s. So hard to be an adult and let him buy what he like. “How about this 3 in 1 camper van!” Ah well. I’d love to watch him build this one. My job is always to organize parts by color while he builds. I love Rebrickable! I just wish more builds had PDF’s. Or at least a way of filtering just builds with PDF’s. This set is amazing! Thanks for the detailed review. I am a fan of the original series and now because of the Netflix series my son has become a fan too. Thanks for the opportunity of this give away. I just stumbled across this site by accident but now I am all signed up! Nostalgia aside, the first thing that stands out about this set is the color scheme. The use of primary and secondary colors is great. Sometimes sci-fi themes lend to darker or more complex coloring. It’s nice seeing an intricate model, that relays heavily on classic Lego colors. 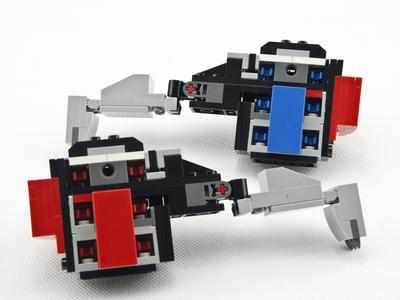 The set inspires active play as it contains five individual robotic lions with moving parts. Unfortunately, there aren’t any pilots, but the lions themselves can function as the interacting characters. The combining feature allows the model to have more than one use, be it through play or display. The overall build seems sturdy enough for what you would expect out an articulating robot design. Forming the larger robot provides a secondary challenge, kind of like an alternate build. With the addition of the sword and shield, you really get to experience multiple building styles and scale with this set. Overall, I believe it’s a great set, and looks to be a fun build. My personal preference is for mini figure based designs. If I had to place the set in one of two categories, I would place in displays well versus plays well. This set truly looks amazing! Considering its size, it is a beast! winning is always nice, so i’ll Keep my fingers crossed. This is the best a dream come true I have been waiting soooo long for this set to come about. I have watched the original Voltron back in 1984 and now I can find shows from time to time on fire tv I am 64 and still build lego sets mostly along but sometimes with the grand kids I love Voltron so much and would be humble to get a set and be able to build this dream, I have a couple of tee shirts of Voltron I am a number one fan of Voltron and lego. Honestly, great review, reading this made me want to get this set even more than I already did which I didn't think was possible because I've really really been wanting to get this. Maybe I'll win the giveaway? Maybe not. If I don't I'm definitely saving up to get this set myself. Excelent review! And I agree with you opinion of the back legs of the black lion. This set is awsome! I grew up loving this series. I asked for Voltron for Christmas one year. My brother got me off brand Transformers. My young daughter is now a fan of the series. 'aww' (when seeing the price). I had never seen this show as a kid, as simon, I'm not sure it was on air in France at this time. But the transformation process seems to be a fun thing. 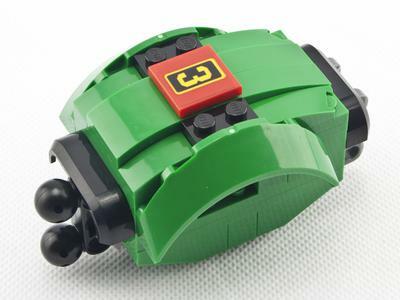 Lego did a good job, but I think chubbybot's modification is a lot better. Looks like a great cross between faithful to the show, fun to play with, and poseable! Great review, thanks! Looks great, great review, I wonder if we’ll see more sets like this (ie power rangers). I just don’t like the sword. Looks a little unfinished to me but I’m nitpicking. I'm pretty sure I've seen the cartoon, but now after many years I can't recall any episodes. The idea of joining smaller creatures together to create a super-creature sounds really fun. It would be nice to play around with this set. Great write up for an awesome looking set. Takes me back to my younger days just seeing it. The Black Lion looks oversized when compared to other four kitties, but I know that it must be that way, due to weight of the model. Your comment that this set could be for every family member their own voltron made me more interested on that set. 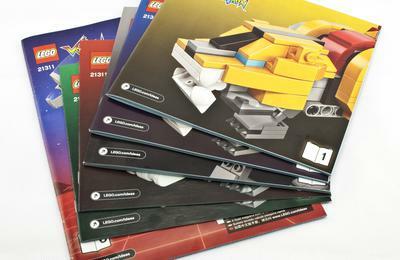 Allso the fact that every voltron has its own book so everyone can build their animal at the same time. Really a nice review! I enjoyed to read it and indeed, it look like a fun build. This is a dream come true! I used to play with big Legos as a 3 year old building the Lions of Voltron each Saturday morning. Great job! Thanks for the review. I remember watching the cartoon and having the toys when I was kid. Ok, so I still have some of the toys and my kids watch the cartoon on DVD. Looks like a outstanding set. Rebrickable! I love your stuff! Such an inventive idea for a site and it is so great to see how it’s taken off nice work. I refer people to your site all the time, such a great resource for the community and the public. Good Voltron review. I love this set because it’s ridiculous and big and colorful and fun, as Lego should be. REALLY hope I win this set it would be amazing!!! Nice! More giant robots from Lego please! It's definitely a great display set. Too bad it lacks poseability. I hope they can follow this up with the vehicle Voltron and the new dreamworks Voltron while they have the license. Incredibly detailed set, and somehow much bigger than I thought it would be! I do agree that a few nano-figs would have been cool. Even if only in a stand next to a name plate or something. Nice review. I like it when reviewed not only already assembeled set but also such things as how many bags it has, how many instruction books, what new and iinteresting pieces it has and so on. So i can call this revew really nice by my standarts. And about set - it will be good model to stay on the shelf if you are a Voltron fan and probably this is the only reason to buy it. More of a Power Rangers kid growing up but it's still hard to resist the appeal of any transforming robot! Great review. Looks like a fun build. Oh boy, this thing is a beauty. I would love build this complex set. It's so beautiful and detailed. The designers made such a good work balancing flexibility and accuracy. A thumbs up for Lego. And thanks for this detailed review. Looks a great set, some playability with the transfortmation. Great for kids and the nostalgia for the adults. Would love to own it but as with most sets these days has more than likely priced me out of getting it. Always good to see a new lego ideas set and good see lego continuing to recognise great fan built designs. Love the ingenuity of this set! As always a comprehensive review. for Christmas. I think we will have fun building this together. 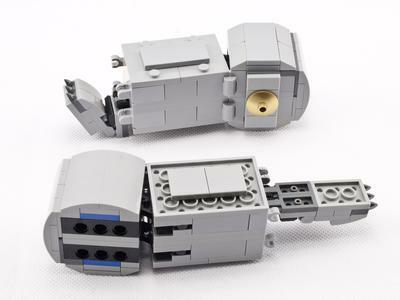 I collect and love custom sets, moc's from this great site!, like london bus, apollo, sets from ideas, love star wars but this set is on my list to buy. I hope i win so i can injoy it!. Thanks for the best review! This is a very nice set! I followed this through the approval process and am glad it was brought into production. Kudos to the set designer. I love the colors, cool set. Thanks for this review, man! I feel like there are so many things I still have to learn to improve the mocs I build myself! Outside of some unique Brickheadz for friends and rather simple castle moc I haven't done/practiced to much. My final goal w is Metroid-series gunship and models like yours are pretty inspiring as they, showcase the versatility of colors and lego in general! It's great how many different forms of joints there are now. Ingenious!! Love it and hope to get more silver parts in future sets. Set looks amazing! I spent many afternoons watching Voltron after school. 1.6kg - this is close to some Technic builds. Those printed parts are sweet! 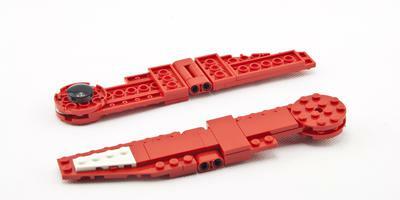 Definitely prefer a set with functionality, lots more to do with them once constructed, easily a set I’d like to have. This is awesome. I would love to introduce my kids to voltron with these. 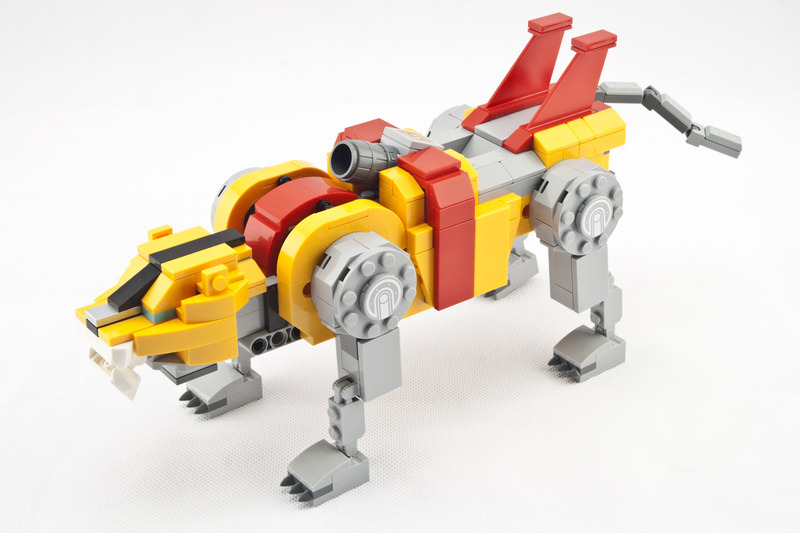 My kids and I could race to see who could build their lion first such a cool concept! Looks like a great set, thanks for the review. It's sets like this that reveal the true, insidiously evil nature of the LEGO Group. They put on this front of being a benevolent, kid-friendly company, but in reality they're brainwashing you by creating too many sets that are too good. First, you just have to buy this set, then you absolutely *must* buy this other set, too...then, before you know it, you're a legohaulic in their plastic grasp and going to support groups and you're the one bringing the snacks. Wake up, 37152﻿-ple! I love the idea Sets a lot, The last set which i got from ideas was the ship in the bottle. Its something total different from what lego does normaly. Also the Rocket or now the Voltron. 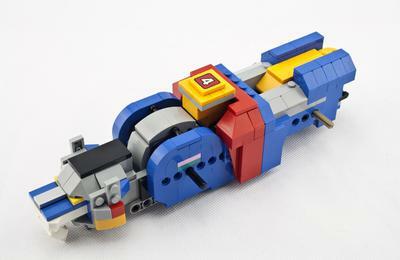 Voltron looks very nice and its awesome that you can build something with lego that you can later transform. I never thought about something like that. As i saw the set i was returned to the 90s with Power Ranger and there Robots which you could buy. And now you have it with lego, awesome. Thats a must have for me. Im not familiar with this series, so I won't judge the way that LEGO made this model, how accurate it is. But other than that, I think that these lions look really nice, very technical, but have that natural touch. Set has lot of very useful parts like tons of plates with ball joint and is very colorful. Whole robot looks little bit weird. And in all reviews that I'd watched and read they told that Robot hasn't got a lot of movement. For me, it's ok. Movement is for the lions, Robot is just for stand. Great review! Thanks for sharing! It would be cool to see a video or gif of the transformation process. This has been sitting in my wish list since day 1. Can't wait to get it at some point. I feel like my pre-teen self would kill me for not getting this set - Lego and Voltron combined - amazing!! Maybe it's time for a rewatch to see if my son will love Voltron as much as he loves Lego!! I've been peripherally aware that Voltron exists for years, but never really been interested enough to look up more about it. The release of this LEGO set has definitely inspired me to go learn more. The set itself appears to be excellent, so hopefully the original media is reflective of that! Looks like an amazing set! Although I am not a huge Transformers fan, there was always something magical about the old cartoon when I was younger. The set seems to capture the feeling of the series very well! I was sooo stoked when I saw this set, and I know I need to have it in my collection, nicely displayed. Thanks for the informative review. I’m pretty impressed with the overall design. It is a unique build for LEGO so this model stands out. But it also captures the essence of what made 80s cartoons fun. I would definitely check this one out further. Looks like it’ll be a Hard To Find set. Very good review. Thanks. To be honest, I did not know about Voltron until Lego Ideas picked it up - it did not get that hype in my country, but certainly would have deserved it. I like both the sci-fi genre and the eastern art so I went on and was able to catch a few episodes from the new series but unfrotunately, it did not turn out to be my thing - I am probably too old now for this kind of cartoons. Anyways, the review is very good and shows a lot of the features that helps deciding if this is something to invest in. 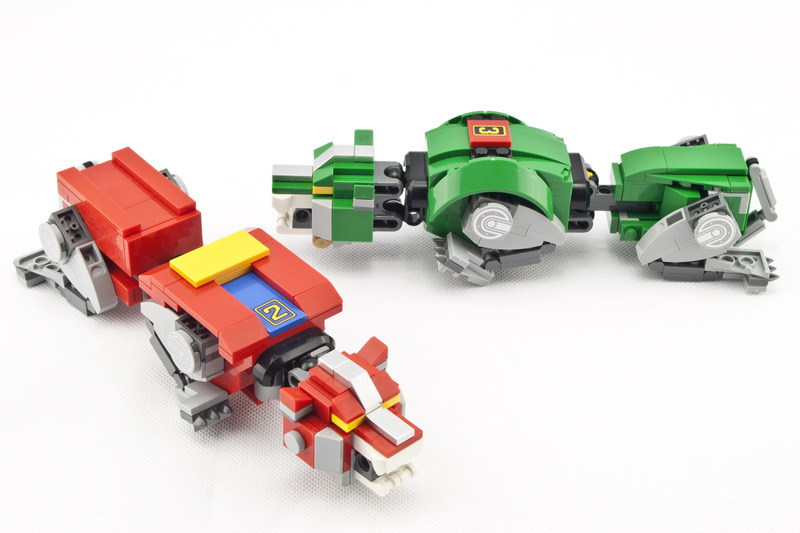 Unfortunately, like many of the Ideas sets, this is a stripped down version of the original submitted - that I believe looks much better, at least for the back of the Voltron model and has minor size differences between the larger lions. Probably the transformation was easier with that set too. Thank you very much for the review and keep it up. I like your job both with the site and the reviews. Epic review for an epic set. set looks great, will have to pick one up! IT'S SIMPLY AMAZING!!! SO EXCITING! Dont know if I like it or hate it! Good show but dont know if Lego is the right fit! Wow this build is massive, thanks for sharing this awesome review with us ! Großartiges Set. Ich habe es bereits Zuhause, jedoch bisher leider noch keine Zeit gehabt es aufzubauen. Hätte Spaß mit dem zweiten Voltron eine Basis zu bauen. Amazing set. Thanks for the reveiew and for making Rebrickable awesome! 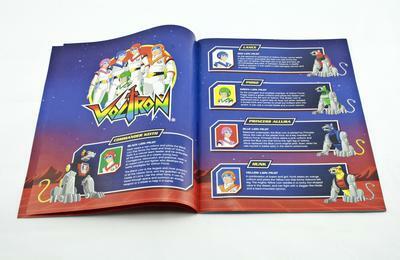 I remember always being fascinated by Voltron as a kid born in the early 80s. It was too expensive for my family back then, but you can bet that's the toy I went to when I saw it at a friend's house. The fascination probably was the same as my fascination with Lego - here you have separate toys that can be creativly combined/built into another. Now oldest son is loving the new Voltron on Netflix and clearly loving Lego at our home. I was a big fan of various giant robots as a kid (Grendizer, Tranzor Z and of course the Transformers). Unfortunately, I could never see the Voltron show since it didn't play where I lived at that time. I only knew him from the toys I saw in stores. Still, I always liked combiner robots. And I can really appreciate the engineering in this set. Transforming toys are already a challenge to make. A brick built transforming toy is very impressive. This makes me wonder if we could eventually see official LEGO transformers. I did try to make some when I was 10 but I met with limited success. Opened the review just from the nostalgia, not going to lie. But the set trully impressed me - the lions are all well made and have a very nice level of detail. The combined Voltron looks amazing too. Maybe the black lion is a bit too bulky, but considering it's the main body, I guess it can't be helped. Have to say I wasn't really a fan, because Voltron was not broadcast in my TV in the '80s. I'm more of a Transformers/Power Rangers guy. That being said, the set looks amazing & I really like the possibility of building different parts of the set simultaneously - that's something I really missed not so long ago during the assembly of the Lego Technic Chiron with my nephews... Thanks for the review! Lego has the amazing ability to force me to get into source material that I never had interest in before. I never watched Voltron as a kid. I was hoping for the Power Rangers Megazord set to be approved. But then I saw the pictures for this one and thought “Yeah, that needs to be on my shelf.” Same thing with the James Bond Aston Martin. I don’t know how they do it! Great review. Good to see a bit more detail about the set. Love the look of this set although the price tag is a bit of a worry. I’m reassured it’s worth the money after the review. I agree having minifigures would have been nice, but at least the main models are so good. That is a pretty amazing looking set, especially since it can actually transform. I think my son and I would have a blast building this. This is an amazing looking set. The details and use of parts to recreate Voltron are simply phenomenal. LEGO chose well when doing their selection. 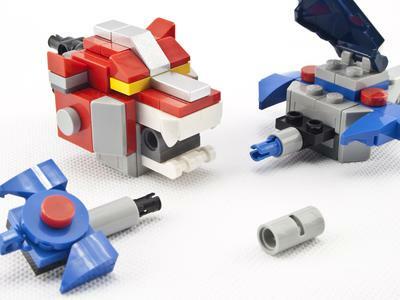 It sure does have great play features due to the fact it acts as a two in one set and has the quick assembly period to turn the lions in Voltron. Not knowing anything about Voltron before this set, it sure works looks like an attractive set that I would consider buying myself (unless of course I get one for free ;). Totally amazing looking, I still have my Voltron set in a box somewhere from when I was a kid. This really takes me back! This is one of the best looking mech sets I can recall. I like the review photos though. They are taken at angles that you would not normally see for a review like this. Loved watching Voltron growing as well as playing with Lego so this is the best of both worlds! I would love to build this! I watched the show growing up, but it has admittedly been out of my mind for a long time. This set really benefits from the nostalgia factor, but regardless it looks great and the bonus of top-notch packaging make it a great addition to any Lego fan's collection. Great review! I enjoy the old school look of the set. 2 if my friends have this set now, so I got a chance to see it up close. I was surprised at how massive it is! One of my favorite features is the full set of gold power tools that comes with it. I was a fan of Technique theme but seeing these, I can deceive my love. They are damn beautiful and are full of feeling. An excellent review! Now it's time that lego releases an Optimus Prime! I grew up watching Voltron and love Lego so this set really is a great combination of both childhood memories! Would love to put this together! Set looks great. It would better if it transformed without partsforming but I understand why they did it. It provides much more stability. Still I realy like it. 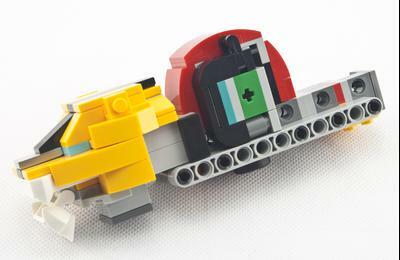 Didn't know about Voltron before viewing the lego set but I must admit it was well designed. 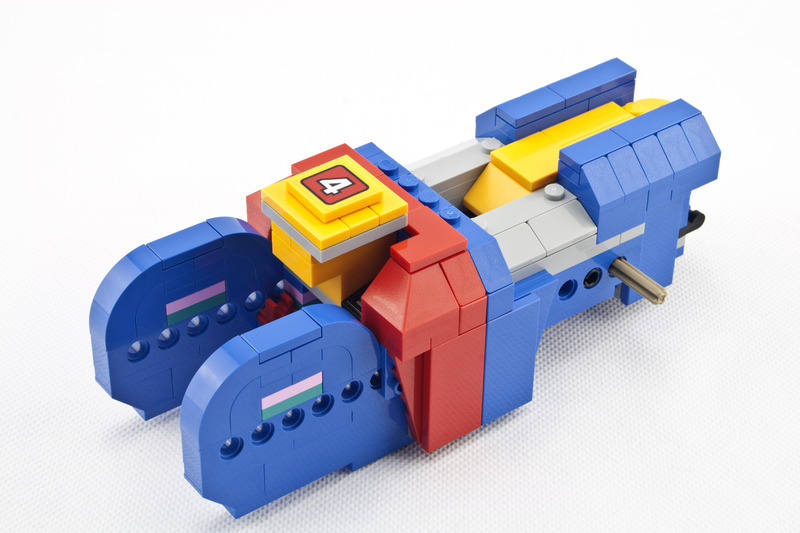 The process to assemble multiple lego constructions in a bigger one is really nice. This design changed almost a comical amount from the original, I'm curious how the original creator feels about this set? Does he even feel like it was his design?? Looks like a great build through, I would love to win one! Agreed—-I saw the original way back when he was still working on the first lion——the final version isn’t half as nice-looking as his design was. 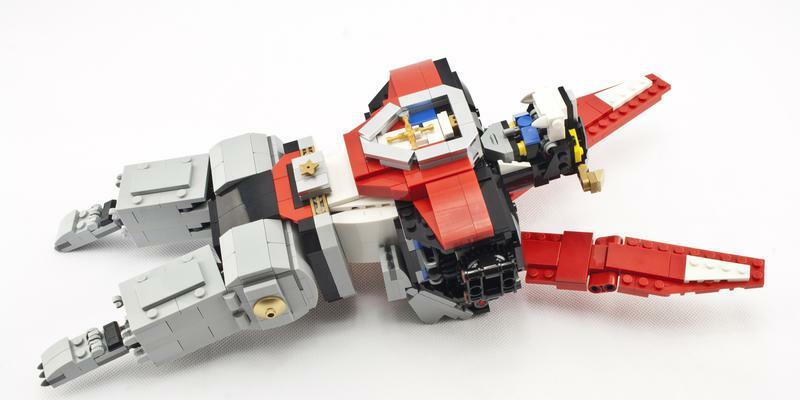 Great review of the legendary Voltron now in LEGO form!! Growing up watching the cartoon, this set is truly a dream come true! Oh man.. Voltron was one of my favorite shows in my youth! Child of the 80's here. Awesome set! Love the transformed / assembled Voltron. I'd love to see Lego make an official Transformers set next. The theme song which you can recognize after 2 seconds. The idea of the set back than was already great and seeing it in an official set gets the hart racing. Time to save up and buy a set which hopefully in the future will give my Kids as much pleasure as it will me. Nice review. Really looking forward to seeing this and build. Like the smaller models transform into Voltron. I have to admit, the transformation blows my mind, and I'm hoping to find a video of it, as I don't think pictures does it justice. As for the set itself, I love how each lion is unique in it's own tiny ways, despite most of them sharing building techniques with at least one other... However I despise the exposed studs on the legs, and would have preferred tile pieces be used to cover such. Nice review and options. So many details! I never saw Voltron as a kid, so there's no actual nostalgia here. Either it never aired here or I just completely missed it. But this set just looks so awesome, it's definitely on my wishlist. I love the look of this set - it looks so crazy but beautiful. I (being born in 2006) haven't heard of Voltron before this set, but now I see it is a very accurate representation of the original cartoon. 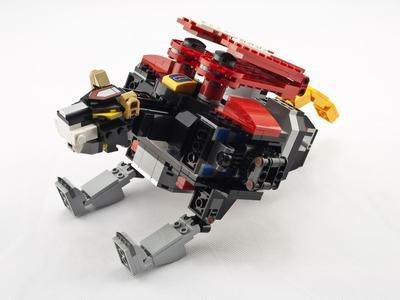 But of course it's better because it's made of LEGO :D. The individual lions looks really cool on their own too. Thanks for the detailed review! Wow, this set looks great. Like the first poster, I’m from the Netherlands, and never saw it. But still, I can appreciate the set itself. I did some research, turns out this is the lion Voltron, where there’s also a vehicle Voltron, consisting of no less then 15 machines. That would make a nice new set, I’d say. Funny, I thought this was from my childhood and nothing today's kids would know, but my little one recognized it right away, so apparently there's been remakes or new episodes of it! Original series from 84/85, spinoff in 98 and another spinoff in 16. I started watching the show when this set was announced. I had heard from it, but never seen it (we didn't have cable back then). I much prefer the classic over the recent reboot. I watched it straight out of the air no cable required. The review was great too. The photos really helped cement the descriptions. 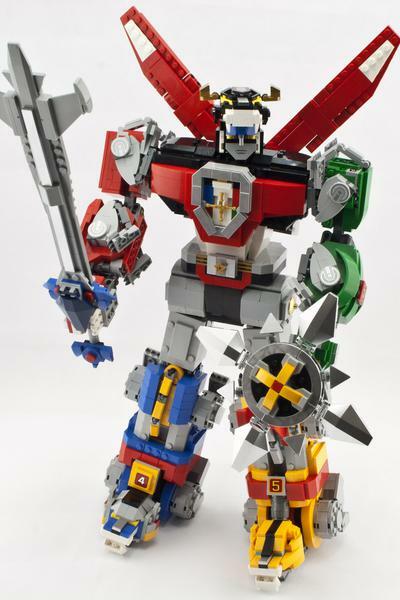 I grew up watching Voltron and Transformers, and seeing Voltron come to life in LEGO is awesome. Great review, especially the pictures! I can’t tell you how much I love this!! My friend across the street when I was a kid had all the Voltron toys and they were so fun!! I always wanted my own; now’s my chance!! Great article! I remember watching the original Voltron when I was a kid and I'm just now getting into the Netflix series! As far as this set goes, I am a bit disappointed in some of the changes from the his Ideas version but it is still pretty awesome!! Amazing set. Very well designed. Its great to see the smaller lions incorperated in such way. One of the most original sets in my opinion due to the building experience. Nice set! It has a very varity of pieces that i like! At first I thought the shoulders would rotate, but I was surpised they had to be detached and first as well. But still a great model. Great review! Looks great and designed well. Despite my love for Voltron this is out of my price range. I do believe it would be a awesome time building this with my kids. Saw this beauty at one of our exhibitions - I loved how it looked assembled into Voltron. The individual lions - not so much. I guess they're ok, but the Black Lion is much too big. And, as you've said, you need to remove its legs and reattach them to form Voltron, which really surprised me. How big it was I think it could hold those big technic turntables. All in all, it's a nice representation of a beloved cartoon. Thanks for the detailed review! 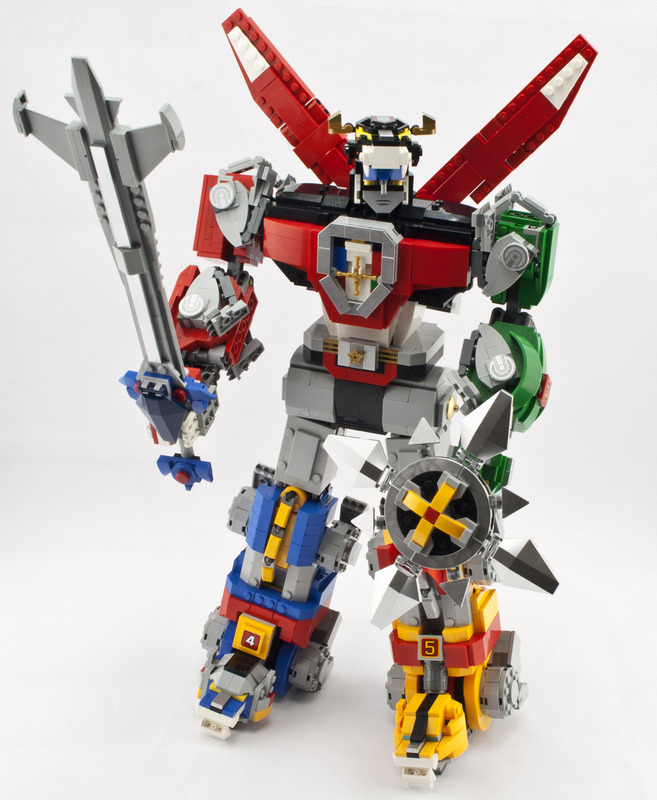 I did not know Voltron as a kid, my favourite robot-themed cartoon was Transformers (I wish LEGO had the license!). Anyway it's a great set, will consider to get it a bit later, seems to be really fun to play with. Nice review indeed. Your highly anticipating waiting time is OVER!!! Now to Transformers... Autobots transform!!! Nice review! Love how they transform into Voltron. I have never even seen this cartoon series, so I don't have that emotional response to it. Could be age, could be country, not even sure if this was ever shown in the Netherlands. So definitely not a set that I would buy. Thanks for the review! I did know of it, but also not sure if it was ever shown on tv in the Netherlands.